Sporting events, concerts, school trips, or simply sightseeing are just a few to consider. March 16, 2017 (Cleveland, OH) – There are many reasons why people call on a bus transportation service. It could be for school field trip, corporate event, church outing, or even a family reunion. Whether you’re heading to a sporting event, concert, or plan to do some sightseeing with some friends, hiring the right charter bus company is absolutely essential. 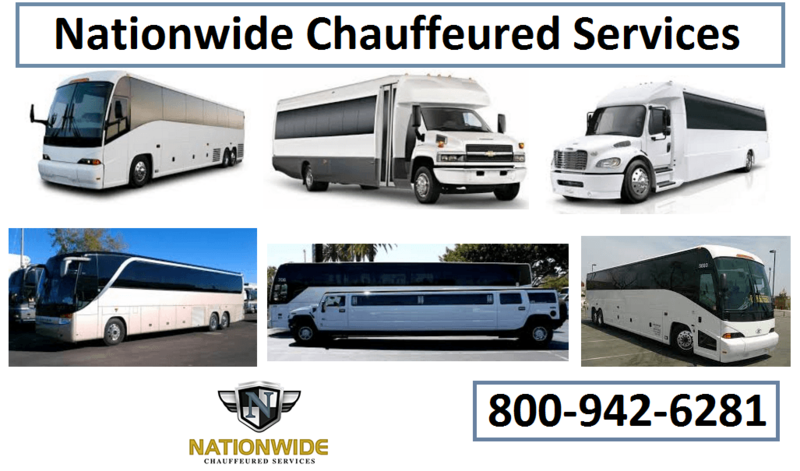 Nationwide Chauffeured Services has been providing this transportation for more than two decades. They were initially established in 1994 as a family owned and operated company. 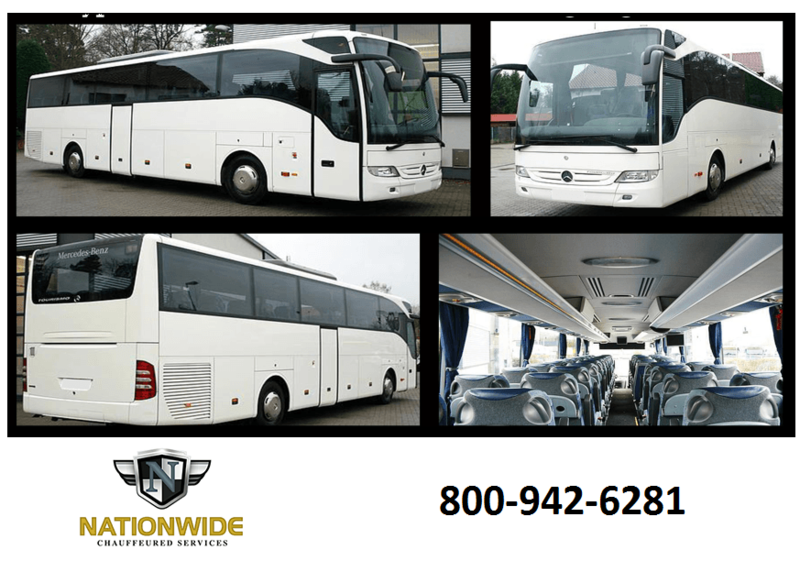 They continue to be family owned and operated and have largest fleets of available limos and charter buses for rent. 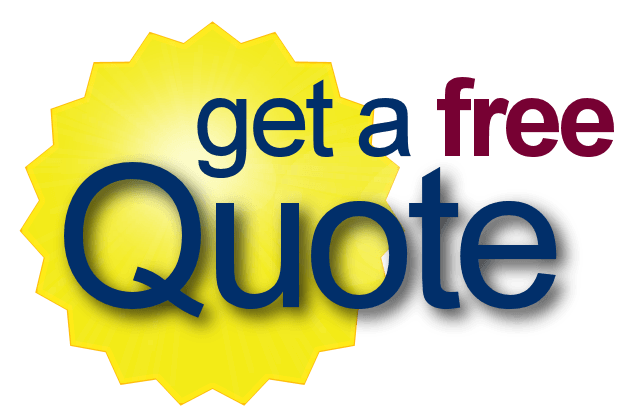 They have been dedicated to exceptional customer service and support since their beginnings. They believe that treating people with dignity, respect, and offering them a truly comfortable, safe, and reliable transportation option will keep them coming back time and time again. 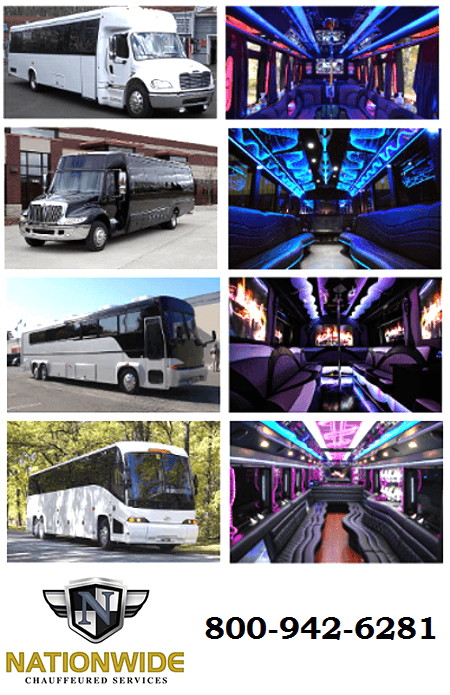 It’s one of the reasons why, as a Cleveland party bus rental service, also providing charter buses, minibuses, limos, and so many other transportation options, they’ve become a leader in this particular industry. It’s not just about arriving on time, though. It’s about having highly knowledgeable, personable, and professional drivers who are intimately knowledgeable about the area, the roads, and having the latest GPS navigation equipment at their fingertips to get around almost any potential delays. It’s also about safety. It’s one of the reasons why Nationwide Chauffeured Services hires only the safest, most experienced drivers and still put them through safe driver training, regular drug testing, and all of their vehicles go through a multi point inspection consistently. They’re one of the few companies in the area also offers 24 hour a day, 7 day week customer service and support. They believe being accessible to their customers any time of the day or night is incredibly important at not just forging great relationships with them, but offering them the best service possible. Anyone who needs bus transportation service, for a school, business, family, church, or any other organization, they should contact Nationwide Chauffeured Services at 800.942.6281. You can also visit their website at www.nationwidecar.com for more details.